With Ferree’s permission, I would like to share a prayer that she has written and posted on her website. Please visit her at Widow’s Christian Place, where she offers hope and encouragement to widows and recently wrote a book, Postcards From the Widow’s Path. I pray for women who have been left to raise children on their own. This is a huge responsibility and burden–when you’re married and have the support of a father to share the duties. But when you’re a mom alone—God, how do you expect these ladies to do all this?! So, Lord, this is why we must pray! Oh Lord, fulfill your Word to them from Psalm 68:5 and be a father to these fatherless children. Do a work in their little hearts that assures them they belong to you. Help these children come to Jesus as the little ones in the New Testament did. 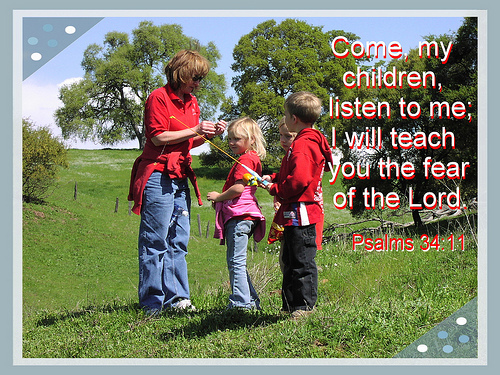 Protect them from worldly adults and false teachers who claim there is no God. Heal their grief, help them stay true to you, and help them be a comfort and delight to their mother. And for these mothers, Lord, please strengthen and protect them. Defend them, as you are declared the “defender of widows.” If they are lonely, set them in the midst of families—their own family, their church family, and perhaps the family of a godly man you will send to be her new husband and new father for her children. Lord, raise up these men with the backbone and integrity to be our heroes! Above all else, Lord, may the widow with children to raise find her rest in you. Draw her to yourself, surround her with your lovingkindness and new mercies every morning. Fill her days with deep joy, fill her mind with your wonders, fill her heart with your peace. Collect her tears in your bottle and transform them into her treasure. Bless her with kindness and rest.